We not only comply with the latest security standards, but we are also involved in defining those of the future through our involvement in key organizations. Our employees are active in these organization as members, committee leaders, board members and panel speakers. Accredited Standards Committee X9 is the USA Technical Advisory Group to the International Technical Committee on Financial Services under the International Organization for Standardization. ASC X9 standards are widely recognized. The American Transaction Processors Coalition (ATPC) was created to protect, promote and preserve the interests of this critical Georgia industry through proactive public relations and government affairs activities. The Direct Selling Association (DSA) is the national trade association of the leading firms that manufacture and distribute goods and services sold directly to consumers. Approximately 200 companies are members of the association, including many well-known brand names. EMVCo, owned by American Express, JCB, MasterCard and Visa, manages, maintains and enhances the EMV® Integrated Circuit Card Specifications to ensure global interoperability of chip-based payment cards with acceptance devices including point of sale terminals and ATMs. The EMV Migration Forum is an independent body created by the SCA to address issues that require broad cooperation across many constituents in the payments space to successfully introduce EMV technology in the United States. The purpose of the Electronic Transactions Association (ETA) is to influence, monitor and help shape the merchant acquiring industry by providing leadership through education, advocacy and the exchange of information. Hotel Technology Next Generation (HTNG) is a global not-for-profit trade association that fosters, through collaboration and partnership among hoteliers and technology providers, the development of next-generation solutions. The Merchant Advisory Group (MAG) was established in 2007 by a group of payment professionals. MAG focuses on issues related to charge back processing, forms of debit payment, card fraud, data security and operating issues related to card acceptance. The mission of the Midwest Acquirers Association (MWAA) is to provide a regional opportunity for training, education and networking in the Midwest acquiring community. 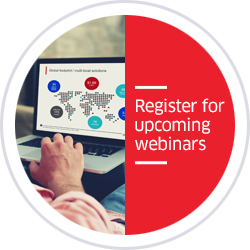 They provide a forum for the discussion of issues related to the payments industry. The Northeast Acquirers Association (NEAA) is entering its 30th year of serving and educating all distribution channels in the electronic payments industry in the northeast. As the world’s largest retail trade association and the voice of retail worldwide, National Retail Federation (NRF) represents retailers of all types and sizes from the United States and more than 45 countries abroad. The PCI Security Standards Council is an open global forum responsible for the development, management, education and awareness of the PCI Security Standards. The Retail Solutions Providers Association (RSPA) is the only association connecting the Point of Sale technology ecosystem. Members include resellers, distributors, hardware manufacturers, software developers, consultants and service providers who bring retail technology solutions to the marketplace. Founded in 2000, the Southeast Acquirers Association (SEAA) was established on the importance to educate the ISO and MSP community, providing economical access to the payment processing industry’s latest trends and regulatory changes. The Smart Card Alliance is a not-for-profit association working to stimulate the understanding, adoption, and application of smart card technology. It is the single industry voice in the U.S. for smart card technology, leading industry discussion on the impact and value of smart cards. The mission of the Western States Acquirers Association (WSAA) is to serve the acquiring business community by providing education and creating a welcoming networking medium for all involved. Founded in 1936, NAMA is the association representing the $25 billion U.S. convenience services industry. With more than 1100 member companies – including many of the world’s most recognized brands – NAMA provides advocacy, ​education and research for its membership. 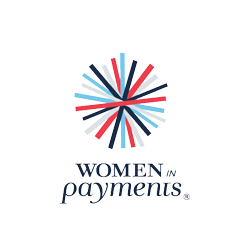 Women in Payments® is a unique forum offering payments professionals a rich opportunity for learning and connecting to explore payments trends and career development strategies. It affords sponsors an opportunity to demonstrate commitment to gender diversity in a positive forum that receives consistently exceptional feedback across multiple markets. The symposium and awards program present an opportunity to recognize and celebrate women leaders, innovators, and rising stars from across the payments field, highlighting sponsors as supporters and promoters of diversity and excellence.